Imagine potentially doubling or even tripling your muscle growth and reducing your recovery time, all with just 2 capsules a day. Well stop imagining, because the science behind it is already here. Welcome to the world of Stem Cell Supplements. The health, nutritional and sporting supplement industry is worth billions of dollars1, and that figure is growing by the minute. While most of that is attributed to sports drinks, protein powders and general health supplements such as fish oil tablets and multivitamins, a new form of supplement has been slowly chipping away at the industry and priming itself to become a dominant force in the market. This relatively new branch of supplements are known as Stem Cell Nutrition, and while it may sound futuristic and somewhat unnerving, its origins are almost half a century old now. But before we delve further into the topic, it might be helpful to understand what Stem Cells are. Embryonic Stem Cells – These are the stem cells which are derived from an embryo and which has attracted the most controversy in its research as in order to derive these stem cells, the embryo is essentially destroyed (although new technology has managed to avoid this). 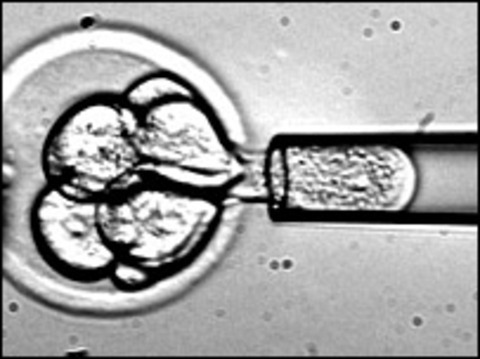 The most common stage at which these cells are taken are when the embryo is 4-5 days old or earlier or around 50-150 cells2. These stem cells are what is responsible for creating all other cells in the body and as such have the most potential as they can transform into any type of cell. Adult Stem Cells – These cells are found in children and adults and are generally for repair purposes. They are limited in their potential and can only differentiate into closely related types of cells but are much less controversial in its use3. The most common use of adult stem cells has been to help with leukaemia and other cancers. New science however has been able to increase the potential of adult stem cells to that of embryonic stem cells4. Satellite Cells - Cells sandwiched in muscle, which have been shown to be activated with muscle injury and important for muscle repair. Muscle Derived Stem Cells (MDSCs) which are involved in tissue regeneration5. Other stem cells not in muscles have also been shown to aid in muscle recovery and regeneration such as hematopoietic stem cells found in bone marrow6. 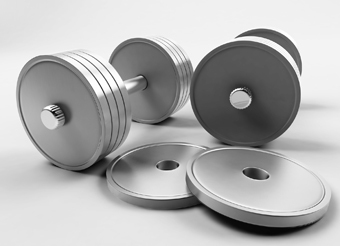 Exercise, especially weight bearing exercise can cause micro-damage or tiny little tears in muscle, which are the signals for the repair process. These muscle tears signal these stem cells to start their regeneration and repair process17. While protein is essential in the process and are considered the building blocks, stem cells are considered the builders, who utilise these building blocks. Increased stem cell activity and amounts in the muscles can therefore promote better regeneration, recovery and growth capacity. In the past, most of the methods to increase stem cell activity has been to use harvested adult stem cells and injecting them into the body. Harvesting stem cells however is rather invasive. Consider the top three places of harvesting including the bone marrow, fat and blood which are generally met with pain, local anaesthesia and/or needles. Not a pleasant process. A better and less invasive way would be to increase our own body’s ability to increase the activity. Here’s where Stem Cell Nutrition and Supplementation comes in. Shytle et al (2010)8 found that the addition of blue green algae into a proprietary nutraceutical formulation enhanced proliferation of human stem cell populations, moreso than the original. Bachstetter et al (2010)9 also found that addition of blue green algae to the same proprietary formula as Shytle’s study also increased stem cell production. Fitton’s (2011)10 review on Fucoidin summarised promising applications of Fucoidin supplementation including the use of Fucoidin to mobilise stem cells. Li et al (1993)11 found that Cordyceps was able to stimulate production of progenitor cells, which are cells similar to stem cells but with less potential to differentiate into multiple other cells. Liu et al (2008)12 were able to show that oral consumption of a Cordyceps appeared to protect stem cells. This is handy since ageing and disease seems to limit the life spans of stem cells. Some other ingredients to look out for include: blueberry extract, green tea extract, carnosine, Vitamin D3, goji fruit extract and maca, which are commonly found in Stem Cell supplements on the market today. StemTech – StemTech are one of the flagship companies of the Stem Cell Nutrition and Supplementation movement are were founded in 2005. They currently produce a range of Stem Cell Supplements including: StemEnhance™, StemFlo™, ST-5 with MigraStem™ and SE2®. These products help support natural circulation of stem cells around the body and migration into tissues. Their products also have scientific backing. They also produce a sports specific supplement known as StemSport®. Natura Therapeutics™ - Natura Therapeutics are another big company who produces a proprietary blend of ingredients known collectively as NT-020 which contains blueberry extract, green tea extract, carnosine and Vitamin D3. This formulation also has some scientific support. Simplexity Health – A 25 year old company who specialise in microalgae nutrition. They also produce a Stem Cell Supplement known as StemPlex® containing a similar proprietary blend to NT-020. Marinova – An Australian bioctechnology company that specialises in marine plant extracts. A recent deal with StemTech makes Marinova one of the biggest Fucoidan manufacturers in the world. Obviously with any type of new nutritional and health supplement come worries about the safety of the products. As these supplements tend to advertise cell proliferation or growth, there is a worry that it treads a fine line towards uncontrolled cell growth (cancer). However, initial studies13 have shown this is not the case and ingredients within the supplements may even be helpful in combating cancer cell lines14. Considering that most, if not all of the ingredients contained in the supplements have strong safety studies, there is little concern over these supplements, although long-term studies are always welcome and warranted. The health, nutritional and sporting supplement industry is ever changing and adapting to new research and new demands. Research shows that ageing causes a diminished regenerative capacity of Stem Cells and as such are more susceptible to oxidative stress8. Research also shows that the use of Stem Cell Supplements can help increase the amount of Stem Cells in our body providing some positive benefits15,16. As athletes, bodybuilders, recreational exercisers and your average Joe or Jill strive to find the next big thing to help them perform better or be healthier, the knowledge, popularity and potential of Stem Cell Nutrition is definitely growing and something to keep an eye out for. 1. BCC Research Report. ‘Sports Nutrition & High Energy Supplements: The Global Market’. http://www.bccresearch.com/report/sports-nutrition-energy-supplements-fod043a.html. Last Accessed 21st September 2012. 2. Thomson JA, Itskovitz-Eldor J, Shapiro SS, Waknitz MA, Swiergiel JJ, Marshall VS, Jones JM. ‘Embryonic stem cell lines derived from human blastocysts.’ Science. 1998 Nov 6;282(5391):1145-7. 3. National Institute of Health. ‘Stem Cell Information’. http://stemcells.nih.gov/info/basics/basics4.asp. Last Accessed 21st September 2012. 4. The Economist. ‘Making Human Embryonic Stem Cells’. http://www.economist.com/node/10170972?story_id=10170972. Last Accessed 21st September 2012. 5. Seale P, Asakura A, Rudnicki MA. ‘The potential of muscle stem cells.’ Dev Cell. 2001 Sep;1(3):333-42. 6. Corbel SY, Lee A, Yi L, Duenas J, Brazelton TR, Blau HM, Rossi FM. ‘Contribution of hematopoietic stem cells to skeletal muscle.’ Nat Med. 2003 Dec;9(12):1528-32. Epub 2003 Nov 16. 7. Diaz Del Castillo, B. The Discovery and Conquest of Mexico, 1517–1521. London: Routledge, 1928, p. 300. 8. Shytle DR, Tan J, Ehrhart J, Smith AJ, Sanberg CD, Sanberg PR, Anderson J, Bickford PC. ‘Effects of blue-green algae extracts on the proliferation of human adult stem cells in vitro: a preliminary study.’ Med Sci Monit. 2010 Jan;16(1):BR1-5. 9. Bachstetter AD, Jernberg J, Schlunk A, Vila JL, Hudson C, Cole MJ, Shytle RD, Tan J, Sanberg PR, Sanberg CD, Borlongan C, Kaneko Y, Tajiri N, Gemma C, Bickford PC. ‘Spirulina promotes stem cell genesis and protects against LPS induced declines in neural stem cell proliferation.’ PLoS One. 2010 May 5;5(5):e10496. 10. Fitton JH. ‘Therapies from fucoidan; multifunctional marine polymers.’ Mar Drugs. 2011;9(10):1731-60. Epub 2011 Sep 30. 11. Li Y, Chen GZ, Jiang DZ. ‘Effect of Cordyceps sinensis on erythropoiesis in mouse bone marrow.’ Chin Med J (Engl). 1993 Apr;106(4):313-6. 12. Liu WC, Chuang WL, Tsai ML, Hong JH, McBride WH, Chiang CS. ‘Cordyceps sinensis health supplement enhances recovery from taxol-induced leukopenia.’ Exp Biol Med (Maywood). 2008 Apr;233(4):447-55. 13. Drapeau C, Ma H, Yang Z, Tang L, Hoffman RM, Schaeffer DJ. ‘The stem cell mobilizer StemEnhance does not promote tumor growth in an orthotopic model of human breast cancer.’ Anticancer Res. 2009 Jan;29(1):443-7. 14. Kim EJ, Park SY, Lee JY, Park JH. ‘Fucoidan present in brown algae induces apoptosis of human colon cancer cells.’ BMC Gastroenterol. 2010 Aug 22;10:96. 15. Jensen GS, Hart AN, Zaske LA, Drapeau C, Gupta N, Schaeffer DJ, Cruickshank JA. ‘Mobilization of human CD34+ CD133+ and CD34+ CD133(-) stem cells in vivo by consumption of an extract from Aphanizomenon flos-aquae--related to modulation of CXCR4 expression by an L-selectin ligand?’ Cardiovasc Revasc Med. 2007 Jul-Sep;8(3):189-202. 16. Drapeau C, Antarr D, Ma H, Yang Z, Tang L, Hoffman RM, Schaeffer DJ. ‘Mobilization of bone marrow stem cells with StemEnhance improves muscle regeneration in cardiotoxin-induced muscle injury.’ Cell Cycle. 2010 May;9(9):1819-23. Epub 2010 May 17.